The next Stiff page is taking awhile and will go up next week. In the meantime, here’s something I drew for Girlamatic.com (RIP) back when “The Stiff” was one of the comics running on that site. When Girlamatic was running, each comic needed two color title images: one small one and one big one, which shuffled randomly whenever the webpage was reloaded. This was my large title image for Chapter 5. My color here is crude — color is definitely something I’ve gotten better at in the intervening years — but I’m fond of this image of Alice and Jamie. 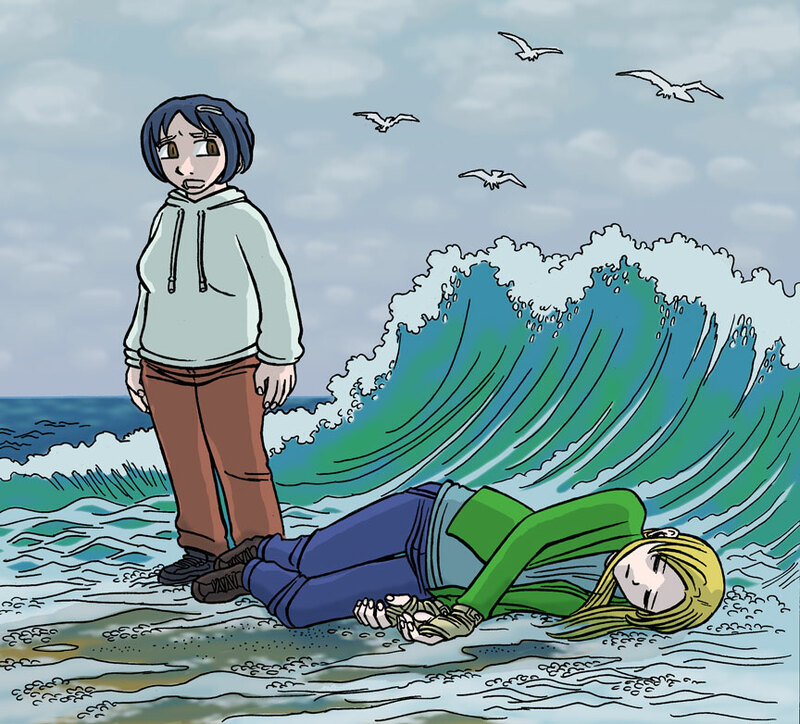 Drawing the foam and the color of the waves was fun, even though I didn’t manage to do it realistically, instead settling on a sort of inbetween comic style. But that’s how most of my art turns out, even now, I guess?